3rd annual Valdosta New Year's Eve 5K. 9:00 PM ET. Lowndes High School, 1606 Norman Drive, Valdosta Georgia, 31601. 2013 story. 2012 story. Event page on Facebook. Entry form and flyer. Online registration at RunSignUp.com. A Course/Line, LLC, acourseline@earthlink.net or 229-630-1455. 22nd annual Wilde Mountain Scramble. 8:30 AM ET. Forestmeadows Athletic Center, 4750 North Meridian Road, Tallahassee, Florida 32312. Gulf Winds Track Club's 2nd annual Swamp Forest Trail Marathon, Half Marathon, and Quarter Marathon. 8:00 AM ET. Elinor Klapp Phipps Park, Miller Landing Road, Tallahassee, Florida 32312. Event page on Facebook. Entry form and flyer. Online registration at EventBrite.com. Bobby York, byorkjr@msn.com or 850-443-6795. 11th annual Kiwanis River Run 10K / 5K. 9:00 AM ET. Earle May Boat Basin, 100 Boat Basin Circle, Bainbridge, Georgia 39817. 2014 story. 2013 story. 2012 story. 2011 story. 10K is on USATF certified course GA05001WC. Entry form and flyer. Online registration at active.com. Paul Fryer, pfryer1@gmail.com or 229-246-8560. Jingle Bell Spring All-Comers Track Meet (100m, 200m, 400m, 800m, 1600m). 6:00 PM ET. Franklin County High School Track, 1250 US Highway 98, Eastpoint, Florida 32328. Entry form and flyer. Online registration at RaceIt.com. Kati‐Morgan Hathcock, khathcock@franklin.k12.fl.us. Gulf Winds Track Club's 31st annual Bowlegs 5K Run for Scholarship. 9:00 AM ET. FAMU / FSU College of Engineering, 2525 Pottsdamer Street, Tallahassee, Florida 32310-6046. 2014 story. 2013 story. 2012 story. 2011 story. 2010 story. USATF certified course #FL12001EBM. Entry form and flyer. Online registration at EventBrite.com. Larry Giunipero, lgiunip@cob.fsu.edu or 850-878-5569, or Bill Hillison, bhillis@garnet.acns.fsu.edu or 850-893-4557. 38th annual Gulf Winds Track Club 30K / 15K. 8:00 AM ET. The Retreat at Bradley's Pond, 9002 Bradley Road, Tallahassee, FL 32309. 2014 story. 2013 story. 2012 story. 2011 story. 2010 story. 2009 story. 2008 story. USATF certified courses FL06013DL (30K) and FL06014DL (15K). Entry form and flyer. Online registration at EventBrite.com. Jerry/Jackie McDaniel, jackiemcdaniel1@gmail.com or 850-591-0081. 6th annual Red Fox Trot 5K and one-mile fun run. 8:00 AM ET 5K / 9:00 AM ET one mile. Roberts Elementary School, 5777 Pimlico Drive, Tallahassee, Florida 32309. 2014 story. 2013 story. 2012 story. 2011 story. Event web page. Event page on Facebook. Entry form and flyer. Online registration at EventBrite.com. Rick and Lois Burnette, TrentTrot5K@gmail.com or 850-294-9946. 4th annual Valdosta BCM Run 4 Missons. 8:00 AM ET. Baptist Collegiate Ministries House, 1522 North Oak Street, Valdosta, Georgia 31602. 2014 story. 2013 story. Event page on Facebook. Entry form and flyer. Online registration at RunSignUp.com. Jef Ford or Anne Eanes at 229-242-2071. Tulip Trot 5K and one-mile fun run. 8:30 AM ET one mile / 9:00 AM ET 5K. Cascades Park, 1001 South Gadsden Street, Tallahassee, Florida 32301. 2011 story. 2010 story. Event page on Facebook. Entry form and flyer. Online registration at EventBrite.com. 4th annual Southeast Alabama Community Foundation Half Marathon and 5K. 8:00 AM CT. Flowers Hospital, 4370 West Main Street, Dothan, Alabama 36305. Event page on Facebook. 22nd annual Run For The Cookies 5K and one-mile fun run. 8:30 AM ET one mile / 9:00 AM ET 5K. Tallahassee Community College Lifetime Sports Center, 444 Appleyard Drive, Tallahassee, Florida 32304. 2014 story. 2013 story. 2011 story. 2010 story. USATF certified 5K course FL14006EBM. Event page on Facebook. Entry form and flyer. Dr. Jeanne O'Kon, okonj@tcc.fl.edu or 850-894-2019. 5th annual Hospice Half Marathon. 8:00 AM ET. Georgia Christian School, 4359 Dasher Road, Valdosta, Georgia 31601-2101. 2014 story. 2013 story. 2011 story. Event web site. Entry form and flyer. Online registration at RunSignUp.com. Elizabeth Greene, esutton621@gmail.com or 229-403-4854. 5th annual Chattahoochee Smoochie 5K and one-mile fun run. 9:00 AM ET. Chattahoochee Landing, 269 River Landing Road, Chattahoochee, Florida. 2011 story. 850-663-23223. 6th annual FSU Medical Response Unit 5K. 9:00 AM ET. Integration Statue on Woodward Plaza, Florida State University, Tallahassee, Florida. 2014 story. 2012 story. 2011 story. 2010 story. Event page on Facebook. 3rd annual Purple Heart 10K, 5K, and one-mile fun run. 9:00 AM ET. Bainbridge State College, 2500 East Shotwell Street, Bainbridge, Georgia 39818. 2014 story. 2013 story. Event page on Facebook. Entry form and flyer. Eric Dueno eric.dueno@bainbridge.edu or 229-248-2577; Juan Gomez 229-248-2634. 11th annual Valdosta Junior Service League 'Dosta Dash 10K, 5K, and one-mile fun run. 8:00 AM ET 10K & 5K / 9:30 AM ET one mile. Converse-Dalton-Ferrell House, 305 North Patterson Street, Valdosta, Georgia 31601. 2013 story. 2011 story. Entry form and flyer. Online registration at RunSignUp.com. dostadash@yahoo.com. 9th annual Albany Marathon and Half-Marathon. 7:00 am ET. Veteran's Park, 112 North Front Street, Albany, GA 31701. 2014 story. 2013 story. 2011 story. 1912 story. USATF certified course GA07003WC (Marathon), GA07002WC (half-Marathon). Entry form and flyer. Online registration at active.com. Event web site. info@albanymarathon.com or 229-317-4760. Red Pepper Run 5K. 8:00 AM ET. The Blue Parrot, 68 West Gorrie Drive, St. George Island, Florida 32328. 2014 story. 2013 story. 2011 story. Event web site. Susan Bassett, 850-323-0092. 7th annual Race The Tortoise 5K. 8:00 AM ET. O'Leno State Park, 410 S.E. O'Leno Park Road, High Springs, Florida 32643. 2014 story. USATF certified course FL09011EBM. Event web page. Online registration at ItsYourRace.com. Cindy Preston, Cynthia.F.Preston@dep.state.ﬂ.us or 386-454-0723. Adel Kiwanis 5K and one-mile fun run. Memorial Stadium, 1600 Massee Post Road, Adel, Georgia 31620. 8:00 AM ET 5K / 9:00 AM ET one mile. 2014 story. 2011 story. Online registration at RunSignUp.com. liza.hendrix10@gmail.com. 6th annual Florida Sheriff's Youth Ranches, Marathon, Half Marathon, 10K, and 5K. 7:40 AM ET. Florida Sheriff's Youth Ranch, 1813 Cecil Webb Place, Live Oak, Florida 32060. USATF certified marathon course FL10137EBM. USATF certified half-marathon course FL10028EBM. 2014 story. 2013 story. Event web page. Online registration at active.com. Chris Carusone, 941-799-7184. 27th annual Shamrock Scurry 5K and one-mile fun run. 8:00AM ET one mile / 8:30AM ET 5K.Killearn United Methodist Church, 2800 Shamrock South, Tallahassee, Florida 32309. 2014 story. 2013 story. 2012 story. 2011 story. 2010 story. Event web page. USATF certified course #FL10021EBM. Course map. Connie Clark, rclarke54@comcast.net or 850-933-2429. 37th annual Winston Howell 10,000 Meter Road Race. 9:00 AM CT. National Guard Armory, Highway 52 and 167, Hartford, AL 36344. 2013 story. 2011 story. USATF certified course #AL96005JD. Event web site. Cary Hatcher at cary.hatcher@gmail.com or 334-588-2343; Mike Kinman at mikek@fnbhartford.com or 334-684-9818. 4th annual Bainbridge Half Marathon. 7:00 AM ET. Memorial Hospital, 1500 E. Shotwell Street, Bainbridge, Georgia. 2014 story. 2013 story. 2012 story. Event web site. Online registration at active.com. Andy Payne, contact@bainbridgehalfmarathon.com or 229-726-2794. Gulf Winds Track Club's 39th annual Springtime 10K, Publix 5K and Target 1-Miler. 7:45am ET one-mile / 8:10am ET 10K and 5K. Leon County Courthouse, 301 S Monroe St, Tallahassee, FL 32301. 2014 story. 2013 story. 2012 story. 2011 story. 2010 story. 2009 story. Event web site. Fire Ant Festival 5K and one-mile fun run. 8:00 AM ET. Turner County Special Services School, College Avenue and Gilmore Street, Ashburn, Georgia 31714. 2014 story. 2013 story. 2011 story. Festival website. Jonathan Perry, 5krun@cisturnerconnection.org or 229-567-9320. 15th annual Red Hills Triathlon (1/3-mile swim, 16-mile bike, 3.1-mile run). 7:30 AM ET. Maclay Gardens State Park, 3540 Thomasville Road, Tallahassee, Florida 32309. 2011 story. 2010 story. 2009 story. Event web site. 8th annual Draggin’ Tail Ultra Trail Challenge 25K / 50K. 7:00 AM ET. Torreya State Park, 2576 NW Torreya Park Road, Bristol, FL 32321. Event page on Facebook. Joe Edgecombe, joeruns@yahoo.com or 850-774-0018 or 850-265-8439. 4th annual Ronald McDonald House Red Shoe Run 10K, 5K, and one-mile fun run. 8:00 AM ET one mile / 8:30 AM ET 10K and 5K. Southwood Capital Office Complex, Esplanade Way, Tallahassee, Florida. 2014 story. 2012 story. 37th annual Rose City Run 10K and one-mile kids' run. 8:00 AM ET 10K / 9:30 AM ET one mile. North Broad Street and Monroe Street, Thomasville, Georgia 31792. USATF certified course GA12003WC (10K). 2014 story. 2013 story. 2012 story. 2011 story. 2010 story. Event page on Facebook. Event web page. rcr@ymcathomasville.org or 229-226-9878. 28th annual Gnat Days 5K. 7:00 PM ET. Courthouse Square, Camilla, Georgia. 2014 story. 2013 story. 2012 story. 2011 story. Jennifer Burnum, jennifer@camillageorgia.com or 229-336-5255. 14th annual Tallahassee Tails and Trails 10K, 5K, and one-mile fun run. 8:30 AM ET. Tallahassee-Leon County Animal Service Center, 1125 Easterwood Drive, Tallahassee, Florida 32311. 2014 story. 2013 story. 2012 story. 2011 story. 2010 story. 2009 story. Event web site. Marzuq Shrine's 12th annual Mothers Day 5K. 8:00 AM ET. Maclay Gardens State Park, 3540 Thomasville Road, Tallahassee, Florida 32309. 2014 story. 2013 story. 2012 story. 2011 story. 2010 story. Keiff Lindsey, romanroch@hotmail.com or 850-212-2926. 4th annual BFD Catfish Crawl 5K and one-mile fun run. 8:00 AM CT. M and B Train Park, North Main Street and Railroad Avenue, Blountstown, Florida 32424. 2014 story. 2013 story. 2012 story. Event web page. Event page on Facebook. Ben Hall, firechief@blountstownfire.org or 850-674-4988. 9th annual Run for Wakulla Springs 5K Trail Run and one-mile fun run. 8:00 AM ET one mile / 8:30 AM ET 5K. Wakulla Springs State Park, 550 Wakulla Park Drive, Wakulla Springs, Florida 32327. 2014 story. 2013 story. 2012 story. 2011 story. 2010 story. Ron and Cynthia Christen, 850-926-7834 or 850-567-0500. 30th annual Memorial Day Gate-to-Gate 4.4-Mile Run. 7:30 AM CT. Unity Park, Chinquain Drive and Eglin Boulevard, Eglin Air Force Base, Florida. 2014 story. 2013 story. 2011 story. 2010 story. Eglin Fitness Center, 850-883-1682 or 850-882-6223. 7th annual Valdosta Memorial Day 5K. 8:00 AM ET. Valdosta Early College Academy, 1605 Azalea Drive, Valdosta, Georgia. 2014 story. 2013 story. 2012 story. 2011 story. 2010 story. A Course/Line, LLC, acourseline@earthlink.net or 229-630-1455. 9th annual Bainbridge Memorial Day 5K Night Race. 7:00 PM ET. Bainbridge Middle School tennis courts, Miluli Avenue at South Boulevard Drive, Bainbridge, Georgia 39819. 2014 story. 2013 story. 2012 story. 2011 story. 2010 story. 2009 story. Shelly Graham shellylgraham@aol.com. Gulf Winds Track Club's 18th annual Potluck Bash Cross Country Race. 6:00 PM ET. Forestmeadows Athletic Center, 4750 North Meridian Road, Tallahassee, Florida. 2014 story. 2013 story. 2012 story. 2011 story. 2010 story. 2009 story. David Yon, david@radeylaw.com or 850-425-6671. 3rd annual Bainbridge Spring 5K. 8:00 AM ET. Earle May Boat Basin Park, Bainbridge, Georgia. 2014 story. 2013 story. USATF certified course GA13047WC. Bainbridge Leisure Services, 229-248-2010. 3rd annual Valdosta Flag Day 5K. 7:30 AM ET. American Legion Post 13, 1301 Williams Street, Valdosta, Georgia 31601. 2014 story. 2013 story. A Course/Line, acourseline@earthlink.net or 229-630-1455. Monticello Kiwanis' 37th annual Melon Run 5K. 8:15 AM ET. First United Methodist Church Family Ministry Center, 325 West Walnut Street, Monticello, Florida 32344. 2014 story. 2013 story. 2012 story. 2011 story. story. 2010 story. USATF certified course #FL06044DL. Jessica Corley, jessicacorley@gmail.com or 850-519-2158. 3rd annual Wakulla County Cross Country Boosters Freedom 5K and one-mile fun run. 8:00 AM ET. Wakulla Springs State Park, 550 Wakulla Park Drive, Wakulla Springs, Florida 32327. 2014 story. 2013 story. Michael Atkinson, nexnbax1@comcast.net or 850‐656‐2200. 37th annual Hot Trot 5K. 7:30 am CT. Washington-Holmes Technical Center, 757 Hoyt Street, Chipley, Florida 32428. 2014 story. 2013 story. 2012 story. 2011 story. Course map. Stan Owens 850-547-2244. 4th annual Anchors Away 6K and one-mile fun run. 8:00 AM CT. Gayle's Trails - Panama City Beach Conservation Park, Griffin Boulevard, Panama City Beach, Florida 32413. 2014 story. Brooke Bullard, bbullard@achkids.org or 850-763-7102. 33rd annual Firecracker 5K and one-mile fun run. 7:30 AM ET 5K. Cascades Park, 1001 South Gadsden Street, Tallahassee, Florida 32301. 2014 story. 2013 story. 2012 story. 2011 story. 2010 story. Cole Tessier, cdt1983@gmail.com or 850-339-6962. 4th annual Cumulative 5K (3200m + 200m + 1600m). 7:30 AM ET. Valwood School, 4380 Old US Hwy 41 North, Hahira, Georgia 31632. 2014 story. 2013 story. A Course/Line, LLC, 229-630-1455. 3rd annual Tasty Tiger Trot 5k Trail Race. 8:00 AM CT. Water World, 401 Recreation Road, Dothan, Alabama 36303. 2014 story. 2013 story. Carolyn Houston, bchbumspcb12@yahoo.com. Possum Trot 5K. 7:00 AM CT. Wausau, Florida. 2013 story. 2011 story. Entry form and flyer. Frank or Carol Kreis, 850-773-2030. 5th annual Walter Phelps Memorial 5K Trail Run. 8:00 AM ET. Lee County YMCA, 316 Robert B Lee Road, Leesburg, Georgia 31763. 2013 story. 2011 story. Event page on Facebook. 4th annual Run to Remember 10K, 5K, and one-mile fun run. 7:00 AM ET 10K, 5K / 7:15 AM ET one mile. Moultrie/Colquitt County Parks and Recreation Department, 4th Street SE, Moultrie, Georgia. 2014 story. sha.missions@gmail.com or 229-528-4967. 18th annual Summer Sizzler 5K and one-mile fun run. 5:30 PM ET one mile / 6:00 PM ET 5K. Lighthouse Park, 2 East Gulf Beach Drive, St. George Island, Florida. 2014 story. 2013 story. 2012 story. 2011 story. 2010 story. 2009 story. USATF certifed course #FL13045EBM. Event web site. Event page on Facebook. Hobson Fulmer, hobson@fairpoint.net or 850-927-2510. Gulf Winds Track Club's 18th annual Breakfast On The Track One Mile Run. 7:45 AM ET. Maclay School track, 3737 North Meridian Road, Tallahassee, Florida 32312. 2014 story. 2013 story. 2012 story. 2011 story. 2010 story. 2009 story. Bonnie Wright, bonniedwright@gmail.com or 850-386-3500. Gulf Winds Track Club's Miller Landing Madness 8K/5K/3K. 8:00 AM ET. Elinor Klapp Phipps Park, Miller Landing Road, Tallahassee, Florida 32312. 2014 story. 2013 story. 2012 story. 2011 story. 2010 story. 2009 story. Tom Perkins, 850-894-2019 or Bill Lott, 850-656-1273. 7th annual Valdosta Labor Day 5K. 7:30 AM ET. Valdosta Early College Academy, 1605 Azalea Drive, Valdosta, Georgia 31602. 2014 story. 2013 story. 2011 story. 2010 story. Entry form and flyer. Online registration at RunSignUp.com. A Course/Line, LLC, acourseline@earthlink.net or 229-630-1455. 34th annual Sickle Cell Foundation of the Big Bend 5K and one-mile fun run. 8:10 AM ET one mile / 8:30 AM ET 5K. Jake Gaither Park, 801 Tanner Drive, Tallahassee, FL 32305. 2014 story. 2011 story. 2010 story. USATF certified course #FL12057EBM. Event web site. jill@sicklecellfoundation.org or 850-222-2355. Gulf Winds Track Club's 34th annual Tallahassee Women's Distance Festival 5K and one-mile fun run. 8:00 AM ET 5K women / 8:05 AM ET 5K men / 9:00 AM ET one mile. Optimist Park, East Indianhead Drive, Tallahassee, Florida. 2014 story. 2013 story. 2012 story. 2011 story. 2010 story. 2009 story. USATF certified course #FL06045DL. Lisa Unger, unger4122@comcast.net or 850-544-4893. Gulf Winds Track Club's 40th annual Salute to Prefontaine 5K Cross-Country Run. 8:30 AM ET. Silver Lake Recreation Area of the Apalachicola National Forest, Silver Lake Road, Tallahassee, Florida. 2013 story. 2012 story. 2011 story. 2010 story. Event page on Facebook. Doug Bell, dbell@penningtonlaw.com or 850-510-7146. 7th annual Quail Trail 5K. 8:00 AM ET. Historic Pebble Hill Plantation, 1251 US Highway 319 South, Thomasville, Georgia. 2014 story. 2010 story. 2009 story. USATF certified course GA09026WC. Event web site. Hahira Honeybee Festival 5K. 8:00 AM ET. Hahira Community Center, 216 Randall Street, Hahira, Georgia 31632. 2014 story. 2013 story. 2011 story. 2010 story. Event web page. honeybeefestival@yahoo.com or 229-794-3274 or 229-794-9777. Riverfront Run 5K and one-mile fun run. 8:30 AM ET one mile / 8:50 AM ET 5K. Albany Welcome Center, 112 North Front Street, Albany, Georgia 31701. 2013 story. Event page on Facebook. Event web site. info@riverfrontrun.com or 229-436-8191. 3rd annual Stop The Violence 5K. 4:00 PM ET. Southwood Golf Club, Grove Park Drive, Tallahassee, Florida. 2014 story. 2013 story. Online registration at refugehouse.com. Refuge House, 850-922-6062. Cast Iron 5K. 8:00 AM ET. Citizens National Bank Parking Lot, 100 East Stephens Street, Quitman, Georgia 31643. 2014 story. 2011 story. 229-242-0676. Peanut Run 5K. 7:30 AM ET. Unity Baptist Church, 101 East Bryant Drive, Sylvester, Georgia 31791. 2014 story. Event web site. info@gapeanutfestival.org or Sylvester – Worth County Chamber of Commerce, 229-776-6657. 8th annual Joyce's Jog 5K and one-mile fun run. 7:30 AM ET one mile / 8:00 AM ET 5K. Ponder Enterprises, 208 East Third Street (corner of Hwy 84 and Hwy 91), Donalsonville, Georgia. 2010 story. Event web site. Steffy Vines, info@joycesjog.com or 229-524-1234. 36th annual Boston Mini-Marathon. 8:00 AM ET. Commercial Bank, 124 West Jefferson Street, Boston, Georgia 31626. 2014 story. 2013 story. 2012 story. 2011 story. 2010 story. 2009 story. Brad Johnson, bradjohnson@bankcb.com or 229-498-8500 (day) / 229-226-4679 (evening). 5th annual VetFest Veterans Day 5K. 8:30 AM ET. South Gadsden Street and East Park Avenue, Tallahassee, Florida. 2014 story. 2013 story. 2012 story. 2011 story. Event page on Facebook. Tracy Taylor, tracytulip@gmail.com or 850-567-9779. 21st annual Draggin' Tail 18-Mile Run, Relay, and 5K. 8:00 AM CT. St Theresa's Catholic Church, 2056 Sunny Hills Boulevard, Sunny Hills, Florida. 2014 story. 2012 story. 2011 story. 2010 story. Marty Kirkland 850-265-8439 or Joe Edgecombe joeruns@yahoo.com or 850-763-5005. Gulf Winds Track Club's 40th annual Tallahassee Turkey Trot 15K / 10K / 5K and one-mile fun run. 8:00 AM ET. State Office Satellite Complex at SouthWood, Esplanade Way, Tallahassee, Florida. 2014 story. 2013 story. 2012 story. 2011 story. 2010 story. 2009 story. Event web site. David Yon, david@radeylaw.com or 850-425-6671 or 850-668-2236. Valdosta Thanksgiving Day 5K. 8:00 AM ET. Valdosta Early College Academy, Azalea Drive and College Street, Valdosta, Georgia 31602. 2014 story. 2013 story. 2011 story. 2010 story. A Course/Line, LLC, acourseline@earthlink.net or 229-630-1455. Swine Time 5K. 8:30 AM ET. Swine Time Fairgrounds, New Street, Climax Georgia. 2014 story. 2013 story. 2011 story. Swine Time Run profile on Facebook. Paul Fryer, pfryer1@gmail.com or 229-246-8560 or Chip Ariail, dariail@dcboe.com or 229-243-9120. Pilgrim Chase Trail Run 5K. 9:00 AM CT. Westgate Park, 801 Recreation Road, Dothan, Alabama 36303. 2014 story. 2013 story. 2011 story. 2010 story. Event web page. Larry Dykes, drcprez@yahoo.com or 334-792-6021. 7th annual Run for the Redfish Half-Marathon / 5K / one-mile fun run. 8:00 AM CT. Pier Park, Margaritaville, 16230 Front Beach Road, Panama City Beach 32413. 2014 story. 2013 story. 2012 story. 2011 story. 2010 story. Event web site. 28th annual Jingle Bell Jog 10K / 5K / One-Mile. 8:00 AM ET 10K / 9:15 AM ET one mile / 9:30 AM ET 5K. Phoebe Health Works, 311 West 3rd Avenue, Albany, GA 31701. 2014 story. 2012 story. 2010 story. USATF certified courses GA09042WC (10 km) and GA09041WC (5 km). Event web site. 229-312-2200. Jingle Bell Run 3K Fun Run. 6:15 PM ET. Downtown Tallahassee, Monroe Street at Park Avenue, Tallahassee, Florida 32301. 2014 story. 2013 story. 2012 story. 2011 story. 2010 story. 2009 story. Event web page. Jan Bubsey, jan.bubsey@talgov.com talgov.com or 850-891-3860. 5th annual Thomasville JSL Red Nose Run Half Marathon and 5K. 8:00 AM ET. Thomas University, Pinetree Boulevard and Millpond Road, Thomasville, Georgia 31792. 2014 story. 2013 story. 2012 story. 2011 story. USATF course number GA12116WC (5K). USATF course number GA12117WC (half marathon). Last Gasp 5K Trail Run. 9:00 AM CT. Westgate Park, 801 Recreation Road, Dothan, Alabama 36303. 2012 story. 2011 story. 2010 story. Larry Dykes, drcprez@yahoo.com or 334-792-6021. 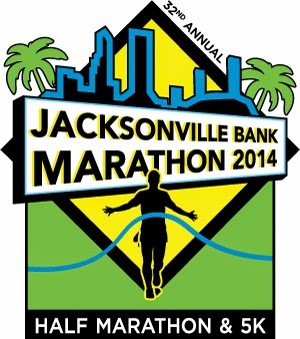 33rd annual Jacksonville Marathon, Half Marathon, and 5K. 7:00 AM ET. Bolles School, 7400 San Jose Boulevard, Jacksonville, Florida 32217. 2014 story. 2013 story. Event web page. 4th annual Panama City Beach Biggest Loser Half-Marathon and 5K. 7:00 AM CT half marathon / 7:30 AM CT 5K. Aaron Bessant Amphitheater adjacent to Pier Park, 600 Pier Park Drive, Panama City Beach, Florida 32413. 2014 story. Event web site. 4th annual Valdosta New Year's Eve 5K. 9:00 PM ET. Lowndes High School, 1606 Norman Drive, Valdosta Georgia, 31601. 2013 story. 2012 story. Event page on Facebook. Entry form and flyer. Online registration at RunSignUp.com. A Course/Line, LLC, acourseline@earthlink.net or 229-630-1455. In the history of modern entertainment there has been no television show that was so successful that the producers didn't try to make even more money from it. In fact, the more popular a show is, the greater the chance that there will be some kind of spin-off merchandising--toys, clothes, books, board games, or whatever. I'm just as much of sucker as any consumer; as a child I wore by "Batman" T-shirt when Adam West and Burt Ward were playing the Dynamic Duo on the tube, as an adult I sip tea out of a "Game of Thrones" mug. But the weight-reduction themed reality show, "The Biggest Loser," has come up with a unique bit of merchandising. 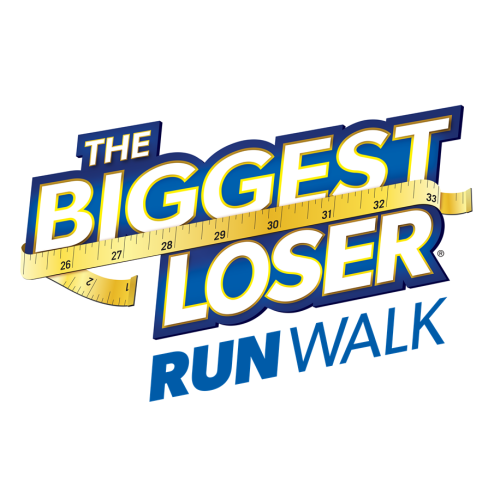 There is a "Biggest Loser" series of road races. One race on the series is the Panama City Beach "Biggest Loser" Half Marathon Run. The third annual running of this event was on Sunday morning, 28 December 2014. The big winner at the 2014 "Biggest Loser" Half Marathon was Darrel Williams, who covered the 13.1-mile course out-and-back from Pier Park in 1:25:08, finishing almost two miles ahead of the next runner. Andrew Collins finished runner-up with a 1:40:13. Finishing third overall in 1:40:46, master runner Julie Shuck was the first female finisher. Daryle Ryan was the first male master in the field, coming in eighth overall in 1:45:39. 313 athletes finished Panama City Beach's third annual "Biggest Loser" Half Marathon Run. By my count, that's a lot of winners. Connecticut athlete Chris Zablocki likes to come south for winter marathons. For example, in 2013 the former Dartmouth trackman was in Florida winning the 39th annual Tallahassee Marathon, and a month later was in Georgia placing second in the Albany Marathon. Who can blame him? New England winters are, well, New England winters. What we call "winter" in Florida and Georgia may be inconvenient and it can be uncomfortable, but it won't kill you. So it was no surprise to find Zablocki in Jacksonville, Florida, on Sunday morning, 28 December 2014, where he cruised to a 2:27:41 win in the 32nd annual Jacksonville Bank Marathon. The Marathon and the associated Jacksonville Bank Half Marathon and 5K each started from Bolles School at 7:00 AM. Once the half marathoners had turned off to make their return to Bolles and the finish line, it was clear that Jacksonville's Justin Jacobs was leading the long run, with Chris Zablocki holding second place. Jacobs ran an optimistic pace of just over 5:30 per mile for the first half of the race, opening a gap of over a minute on Zablocki. But Zablocki came back. At the halfway mark Zablocki pulled overtook Jacobs. The runner from Connecticut owned the second half of the race, as Zablocki left Jacobs far behind. By the time Zablocki reached the finish line on the Bolles School track, he was nearly a mile ahead of Jacobs, winning the Marthon in 2:27:41. Jacobs took second in 2:33:29. Dutch distance runner Mariska Kramer finished third overall for the second year in a row. Her 2:46:10 wasn't quite as fast as the 2:45:35 she had run in the rainy 2013 race, but it was good enough to net her a second straight Jacksonville Marathon women's title. Kramer was also the fastest master runner in the marathon, having just turned 40 in 2014. Jack Westrick of Dunwoody, Georgia, was the top male master in the 2014 Jacksonville Marathon, placing fourth overall in 2:48:43. 699 runners finished the marathon, but 1277 completed the concurrent half marathon. 2013 winner Chris Mutai aimed to once again be the fastest in the shorter race, but he was outrun by Jaiden Brandt of Lynchburg, Virginia. The previous year Brandt had finished his career as a cross-country runner at Georgia Regents University, where he had distinguished himself by never winning a cross-country race. The Jacksonville Bank Half Marathon isn't a cross-country race, though, and Brandt won in 70:09. Defending champ Mutai was second in 70:37, while Mike Hensley of Gainesville, Florida, was third in 71:55. Hector Santos of Puerto Rico was the fastest master runner in the half marathon, taking fourth overall in 74:33. Master runner Lyubov Denisova edged Orlando's Heather Schulz for the women's title, 81:02 to 81:24. Denisova and Schulz were 14th and 15th overall. 2013 story, "Maedel and Kramer slosh to marathon victories in Jacksonville"
Kayla Fox's twin brother, Austin Fox, ran 17:33 to win the Dothan Runners' annual Last Gasp 5K Trail Run on Saturday morning, 27 December 2014. In the same Dothan, Alabama, race, Austin Fox's twin sister, Kayla Fox, won the women's division, placing fifth overall in 21:41. Austin Fox had finished second to Berry College distance runner Kyle Harris in the 2013 Last Gasp, but the 2014 race was all Fox's. Running alone in the lead for most of the 3.1-mile circuit of Dothan's Westgate Park, Fox was more than 700 meters ahead of the next runner when he crossed the finish line in 17:33. Richie Fernandez took the runner-up spot in 20:27. Dale Thomas was the fastest master runner in the race, edging Rush Jones for third 20:51 to 20:56. Kayla Fox's 21:41 was the fastest women's time at the Last Gasp since Dana Cody's 20:26 in the 2011 race, and it was fast enough to put Fox nearly 600 meters ahead of the next woman. C. J. Parrish was second in the women's standings, placing 11th overall in 24:36. Caroline Dunklin was the first woman finisher, coming in 16th overall in 26:22. The top woman master was Beverly Lovelady, fourth female and 18th overall in 26:45. And the fifth woman finisher was Chris Fox, the first female grand master and 21st overall in 27:11. Austin and Kayla are two of Chris's children. Including all the Foxes, 62 athletes finished the 2014 Last Gasp 5K Trail Run. 2012 story, "Kent and Davis are good to the Last Gasp"
2011 story, "Robbins and Cody end 2011 with wins at Dothan's Last Gasp 5K"
2010 story, "Brennan and Harris find victory at the end of the trail in Dothan"
The 33rd annual Hog Wild Run 15K and 5K. 2:00 PM CT. The Depot Off Main, 120 Museum Avenue, Dothan, Alabama 36303. 2014 story. 2013 story. 2012 story. 2011 story. 15K course map. Larry Dykes, drcprez@yahoo.com or 334-792-6021. 3rd annual Purple Heart 10K, 5K, and one-mile fun run. 9:00 AM ET. Bainbridge State College, 2500 East Shotwell Street, Bainbridge, Georgia 39818. 2014 story. 2013 story. Eric Dueno eric.dueno@bainbridge.edu or 229-248-2577; Juan Gomez 229-248-2634. 9th annual Albany Marathon and Half-Marathon. 7:00 am ET. Veteran's Park, 112 North Front Street, Albany, GA 31701. USATF certified course GA07003WC (Marathon), GA07002WC (half-Marathon). 2014 story. 2013 story. 2011 story. Event web site. info@albanymarathon.com or 229-317-4760. 7th annual Race The Tortoise 5K. 8:00 AM ET. O'Leno State Park, 410 S.E. O'Leno Park Road, High Springs, Florida 32643. 2014 story. USATF certified course FL09011EBM. Event web page. Cindy Preston, Cynthia.F.Preston@dep.state.ﬂ.us or 386-454-0723.